Queen Victoria, who lived from 1819-1901, was the ruler of England at the height of the British empire. Beyond politics, Queen Victoria was so influential that the era of her reign (1837-1901) was named the Victorian Age in honor of her. The literary movements of romanticism and realism abounded, and it was the age of doubt and belief with the emergence of Darwinism and Unitarianism and the response of the Oxford Movement under Cardinal John Henry Newman. Victoria would be known as the “grandmother of Europe,” as her forty-two grandchildren were part of the royal families in Germany, Greece, Norway, Romania, Russia, Spain, and Sweden. 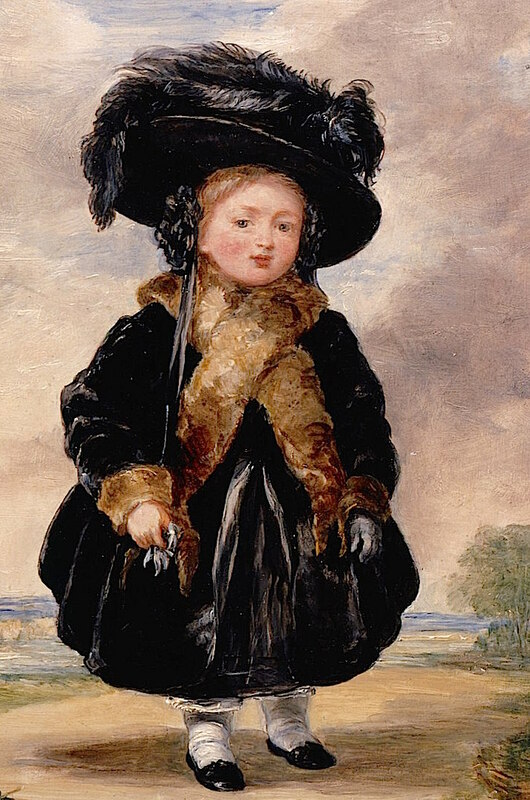 Born May 24, 1819, Alexandrina Victoria, who later became queen of England, was the only daughter of Edward, Duke of Kent, fourth son of George III. Her father died shortly after her birth, and Victoria was brought up in Kensington Palace with her mother, the Duchess of Kent, and her half-sister Féodore under the tutelage of their governess, Louise Lehzen. 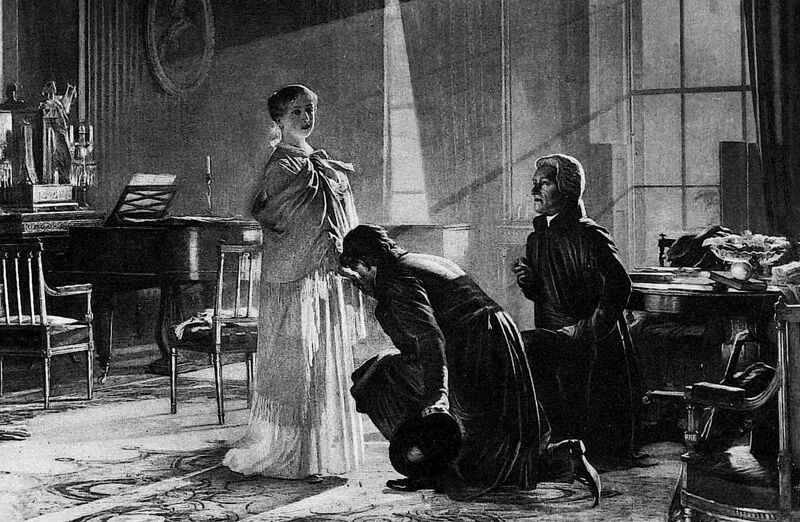 After the subsequent deaths of George IV, the Duke of York, and William IV, the Duke of Clarence, who both did not have any legitimate children who survived, Victoria ascended the throne at the age of eighteen on June 20, 1837. 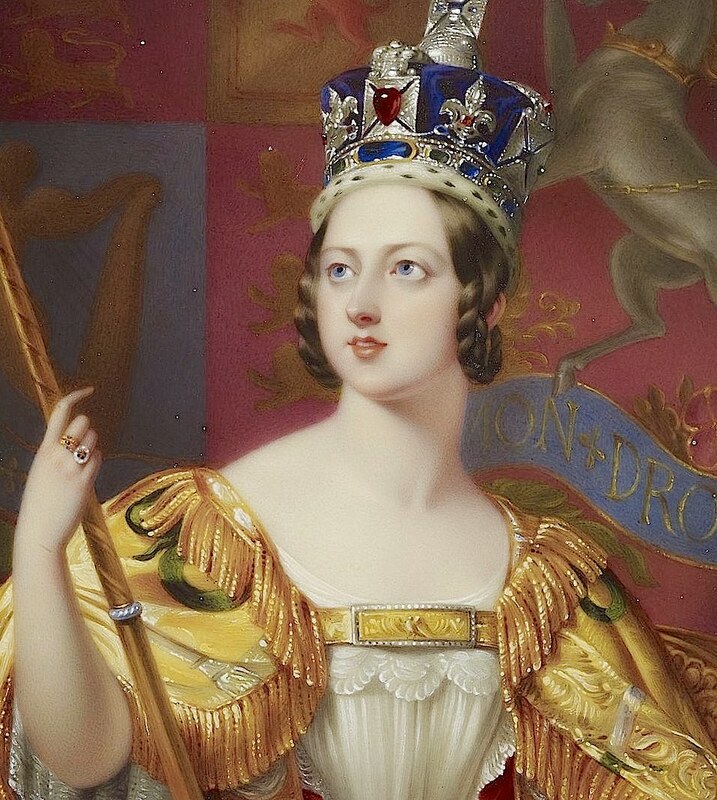 Around the time she became queen, Queen Victoria began corresponding with her cousin Albert and later proposed marriage to him on October 15, 1839. 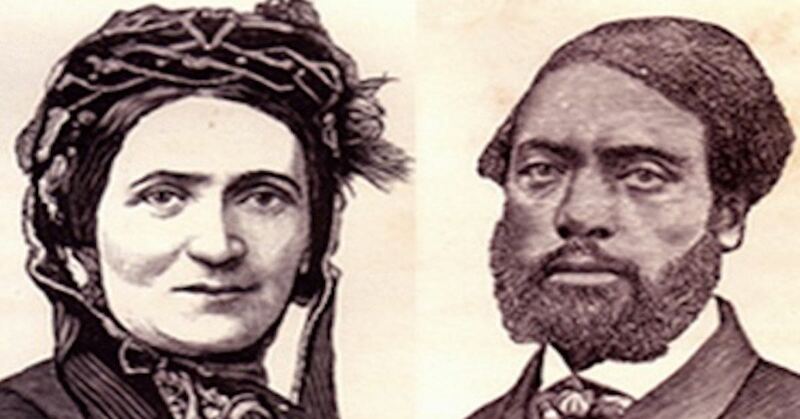 They married on February 10, 1840. 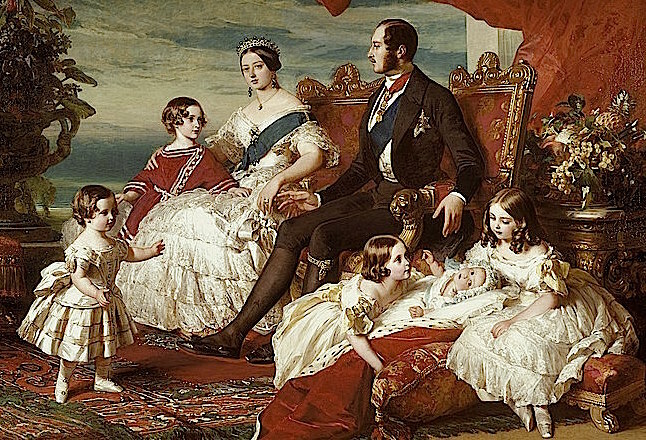 During their marriage, the couple would have nine children together (Victoria, Edward, Alice, Alfred, Helena, Louise, Arthur, Leopold, and Beatrice), most of whom married into various European monarchies. 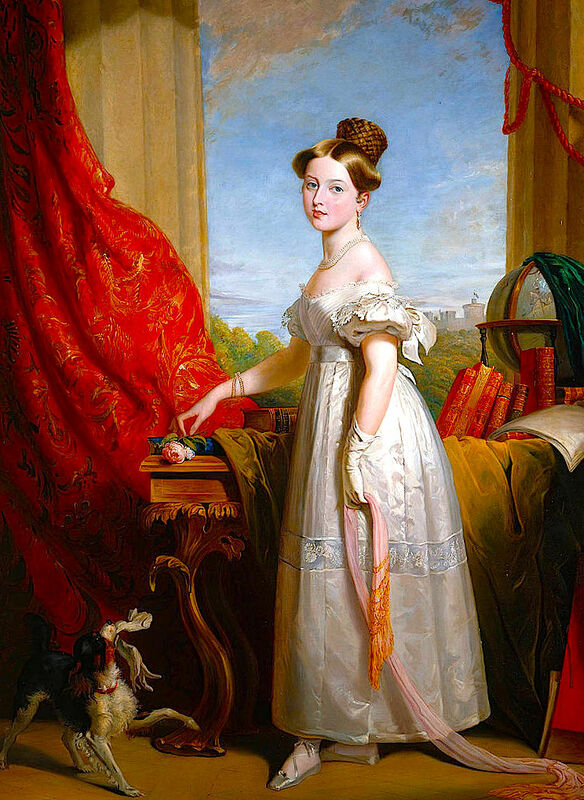 At first, the queen insisted that Albert did not aid her in governing the country, but as Victoria became a mother and was frequently pregnant, she relied increasingly more on Albert’s assistance, and he acquired a larger political role. During her early reign, both Albert and the first Prime Minister who served under Victoria, Lord Melbourne, helped shape Victoria into the epitome of a queen under a constitutional monarchy where the ruler is an excellent figurehead, but does not have much political influence. Prince Albert stayed by Queen Victoria’s side and helped her with English politics until his death on December 14, 1861 at the age of forty-two. His death was a huge blow to the queen. 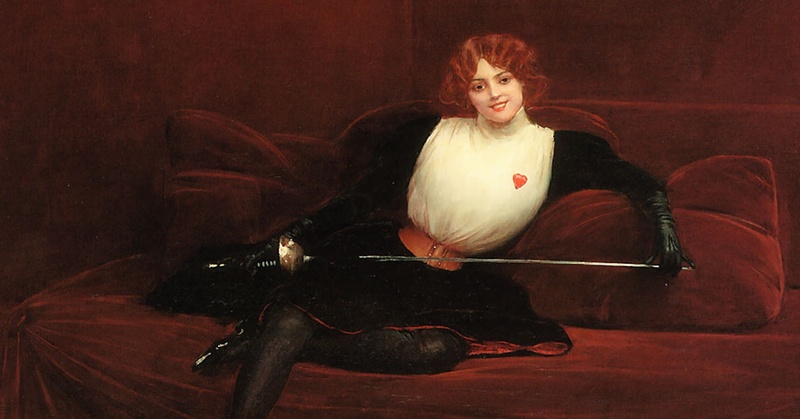 What she most feared and wrote about in the same letter to the baron in 1846 had come true: “[I]t will always be a terrible pang for me to separate from him even for two days, and I pray God never to let me survive him.” Victoria would in fact spend forty years, or almost half of her life, widowed. During the first several years after Albert’s death, Victoria was severely depressed. 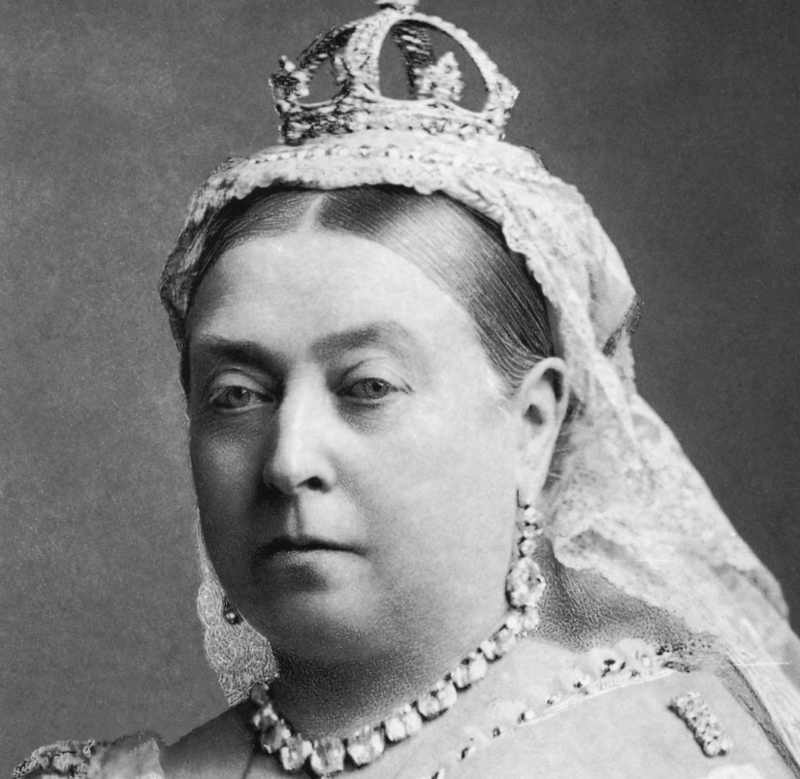 Known as the “Widow of Windsor,” she rarely appeared in public during the 1860s although Victoria always kept up official correspondence and met with the ministers and official visitors during her years of seclusion. In the 1870s, due to support from family and her ministers, Victoria began to engage in public life more. Even so, she wore black during the rest of her reign, slept beside an image of Albert, and had clothes set out for him every morning right up until her own death. With her reappearance in politics, Victoria took a stand of advocating for peace in matters of foreign policy. In 1864, Victoria told her ministers that she did not want Britain to intervene in the Prussia-Denmark War, and she supported Turkish hegemony in the 1870s—the so-called Eastern Question—even when Prime Minister William Gladstone did not. Additionally, during the Crimean War (1854-1856) early in her reign and the Second Boer War (1899-1902) late in her reign, Victoria remained involved, reviewing troops and visiting hospitals. 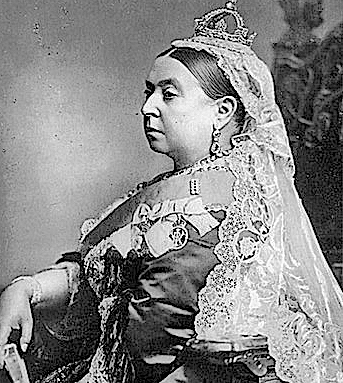 As the British empire grew, Victoria became more popular. In fact, she was queen of the largest empire in history. 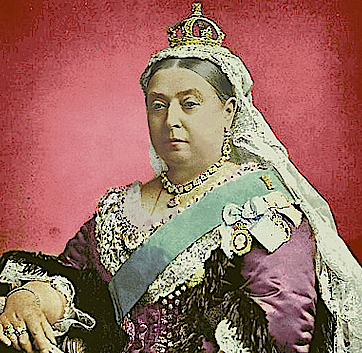 Under Prime Minister Benjamin Disraeli’s government in 1877, Victoria became Empress of India. In the years leading up to her death, Victoria became the symbol for the British empire as exemplified by the lavish Golden (1887) and Diamond (1897) Jubilee celebrations held in honor of the fiftieth and sixtieth anniversaries of Victoria’s accession to the throne. Even though a series of acts, including the Second Reform Act of 1867 and the Representation of the Peoples Act of 1884, moved power away from Victoria as the British sovereign, Victoria still maintained a high level of prestige. Her often neutral and non-partisan rule helped shape the modern idea of the British monarch: one who is above political parties and who maintains the dignity of the throne. Victoria died at Osborne House on January 22, 1901 after a brief and painless illness. With a reign of sixty-four years, Queen Victoria was the longest reigning English monarch until Elizabeth II surpassed her in 2015. Rachel Basinger received a dual Bachelor of Arts degree in History and Spanish from Hillsdale College in 2014. She is passionate about history, especially military history and the World Wars. Rachel has taught history to high school freshmen and seniors for the past four years and has also authored two history books for young adults and is currently working on a third. During her free time, you will often find Rachel with a book about some historical topic in her hand.